Xi Jinping has dusted off an old ‘magic weapon’ to wage political warfare at home and abroad. Here’s a brief history of the global influencing operation that surprisingly few have heard of. Avoiding the Thucydides Trap and the middle-income trap will require compromise, domestic stability, and constructive relations with the US. 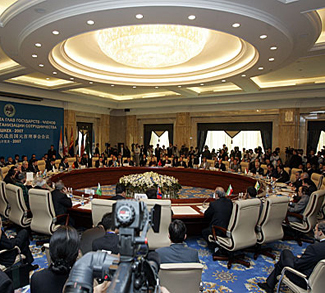 The latest meeting of the Shanghai Cooperation Organization wrapped up in Tajikistan with pledges of deeper economic cooperation and new member-states in the years to come.